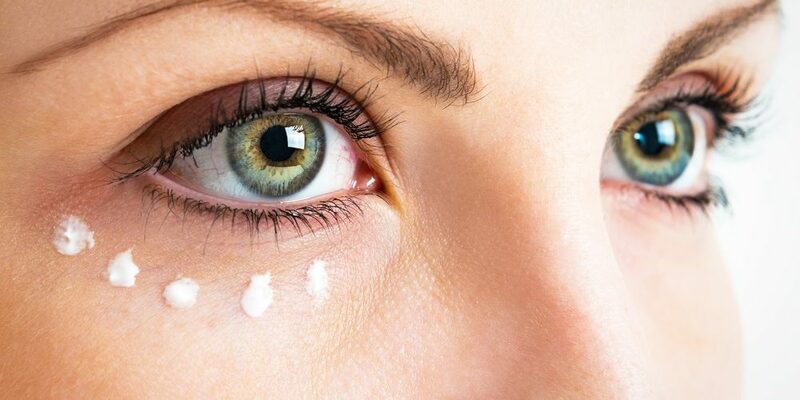 What do dermatologists think of this ‘wrinkle buster’? Do studies support Argireline’s anti-aging claims? What alternatives would dermatologists recommend? Argireline is composed of chains of amino acids known as peptides. It inhibits the movement of facial muscles, allegedly improving skin texture and tone. Research suggests that Argireline may not penetrate deep enough into the skin to consistently provide benefits. The anti-aging industry is vast and highly competitive, with many products grappling for their share of the global market valued at $250 billion. From stimulating collagen production to reducing the appearance of fine lines and wrinkles, skin care products make a plethora of alluring promises. Argireline is a popular anti-aging ingredient that makes some pretty bold claims. But does it live up to them? Argireline is all the rage on social media and is even endorsed by celebrity surgeon, Dr. Mehmet Oz. Although it is nicknamed “Botox in a jar,” Argireline (acetyl hexapeptide-3 or acetyl hexapeptide-8) is not a toxin. The plant-derived compound is, however, similar to Botox in its mechanism of action as it freezes nerve-to-muscle potential. Lipotec, the makers of Argireline, asserts that the chain of peptides that make up the compound limits the ability of neurotransmitters to activate movement in your facial muscles (a process known as exocytosis). By inhibiting the nerves that send signals to facial muscles, subtle facial expressions are limited, and wrinkles, Lipotec insists, are subsequently reduced. RELATED: Is Instantly Ageless Better Than Botox? When Swol Headquarters, an independent product review website, put Argireline to the test, their experts confirmed the effectiveness of the peptide chain, but questioned its ability to deliver consistent results. Swol affirms that when applied regularly, Argireline relaxes the muscles around fine lines and wrinkles, including crow’s feet and forehead furrows. However, Swol also notes that the results could vary from person to person, revealing a broad spectrum of efficacy. They found that in some cases, Argireline reduces wrinkles by up to 30% after 30 days of application while other users experience a reduction of lines of less than 10% over the same time span. There is a lack of clinical research conducted with Argireline, and studies on human subjects are limited. Dr. Fromowitz expresses his apprehensions over the lack of proven results associated with the product. “My concern is that real world and lab settings are different. Without empirical evidence from double-blind placebo and controlled trials, we just don’t have evidence as to judge whether or not it works,” he concludes. Lipotec claims that the peptide solution has demonstrated a decreased appearance of wrinkle-volume by 20.6% and a reduction of wrinkle-length by 15.9% on average. In support of Lipotec’s assertions, a 2002 study concluded that when Argireline is applied to the epidermis in concentrations higher than 5% it effectively reduces lines and wrinkles by up to 30% after 28 days. On the other hand, Truth in Aging, a website with a mission to provide unbiased guidance on beauty and personal care products, contends that even a 10% concentration of Argireline would be ineffective. They claim this is because the peptide isn’t potent enough to penetrate beyond the first few layers of skin and thus cannot provide the desired freezing effect. A 2013 Chinese randomized, placebo-controlled Argireline study – one of the only studies featuring human patients (60 subjects) – also notes contradictions and concludes that despite being safe and somewhat effective, the ability of Argireline to permeate skin is inadequate, resulting in significant waste. The study speculates that perhaps younger, thicker skin may be too substantial a barrier for Argireline to reach pivotal connections of nerves and muscles. The authors conclude that Argireline might have a more of an impact on older, thinner skin. While not everyone has side effects with Argireline, if you have sensitive skin, you may experience stinging upon application as well as redness and dry, flaky skin at contact points. The manufacturers also advise against applying products that contain a peptide to sunburned or irritated skin. There is anecdotal evidence that suggests extended use of Argireline may cause skin sagging and drooping in some individuals. Some consumers have complained about issues relating to brain fog following long-term use. However, there is no scientific data to support or disprove either of these claims. If you experience any side effects that concern you when using Argireline on a daily basis, then you should stop using it and consult your doctor. Dermatologists all agree that beautiful, healthy skin can be achieved by nourishing the epidermis with a sound diet, proper hydration and the application of topical skin products determined to be safe and effective. Due to the lack of empirical evidence supporting Argireline claims, Dr. Buka said he does not recommend Argireline to his patients. Without conclusive double-blind clinical studies, the truth about Argireline’s effectiveness remains somewhat murky. Although it appears to be a successful wrinkle-fighter when applied to aging, thinner skin, it does not function as well when used on the thicker epidermis of younger users. Simply put, it is impossible to determine whether Argireline is capable of delivering the results that its manufacturer claims. Results may vary according to skin type. Given that there are so many proven and reliable anti-aging creams already on the market, it’s probably best to try one of those instead. » To learn more about care products and treatments, ask a cosmetic doctor for advice and schedule an appointment using Zwivel’s free online consultation tool. MJ Stone is journalist, fiction writer, and visual artist who lives in Montreal.